Why is it that week after week, some companies never seem to run out of content that engages their target audience, while others struggle to get started and maintain consistency over a long period? 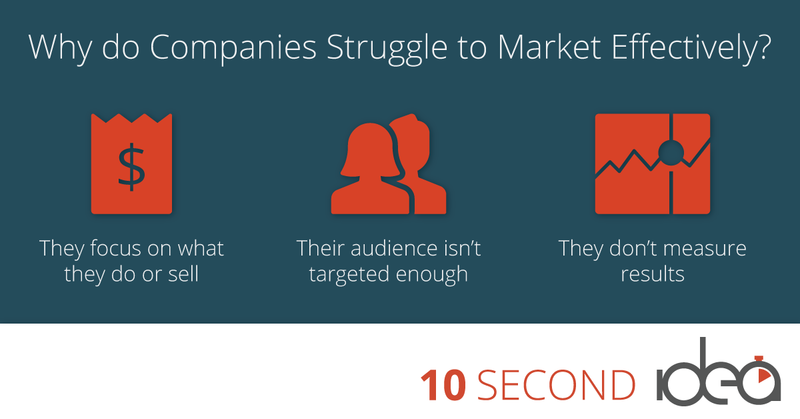 There are two reasons certain companies make marketing look so easy. First, they execute on a documented content strategy throughout the year. Second, they view content as a long-term investment in business operations. 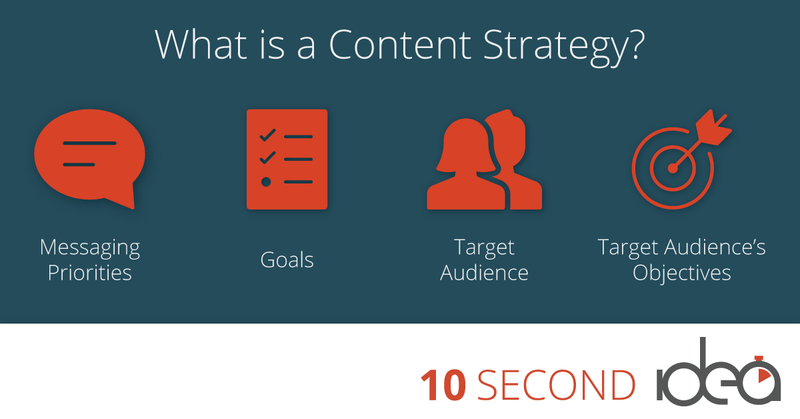 If you don’t have a content strategy yet, you’re not alone. But, if your website is ineffective at producing leads and sales; if your social media is a chore to manage; if your email campaigns are unpredictable–random, even–or if you’re struggling to measure your content’s impact on the bottom line, then you need one. A content strategy sets your key messaging priorities for the year, across all owned, earned, and paid channels. It includes your organizational goals, a deep understanding of your target audience, and their objectives. It also shows the step-by-step rationale that explains to everyone inside your company exactly why you’re creating what you create. For example, if your goal is to increase manufacturing sales, your content strategy has to produce qualified leads. You can do this by consistently addressing your target audience’s questions and pain points when and where they’re searching for solutions in your industry. What does a long-term investment mindset look like? Building trust capital and credibility with your target audience takes time. And so does content marketing. It’s a long-term investment in the health of your company. But it’s not for everyone. If you’re looking for short-cut growth hacks, vanity metrics, or a quick sale, it may not be for you. However, if you want to be the kind of company that your customers see as a leader and a trusted resource in your industry, you can earn that position over time. The difference for companies that use content marketing effectively is that they see opportunities where others see an obligation. More to the point, these companies approach their content as a way of serving their target audience, not simply as a series of sales tactics. A documented content strategy can be the foundational change that leads to more efficient and more effective marketing, regardless of your size or industry. To begin leveraging content as a business development asset, follow these four steps. Tighten your scope and focus on your audience By narrowing your focus to a small, but a relevant number of priority topics and tying them to specific goals, you can produce more compelling and in-depth content that highlights your industry expertise and shows you understand your target audience’s needs, challenges, processes, and pain points. As a result, your content will resonate more with your target audience. 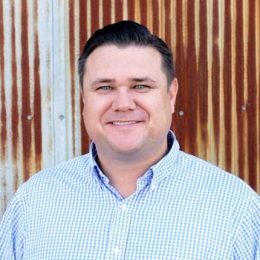 Establish a system for long-term success Long-term marketing success requires companies to move beyond individuals, tactics, and short-term campaigns. 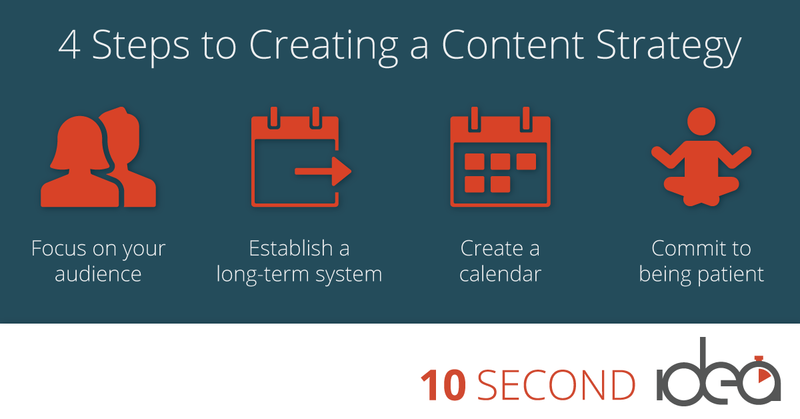 A documented content strategy is one in which anyone can step in and implement. As a result, it can be predictable, repeatable and accountable to your goals. Create a calendar to maximize time and resources Knowing what you’ll address throughout the year also makes it possible to create an editorial calendar. Then, you can assign roles, determine appropriate channels, and set deadlines. Know that success requires producing, publishing, and promoting content year-round. So, an editorial calendar will keep everyone organized and accountable long-term. Stay on course and remain patient A documented content plan can provide the consistency you need to commit to the right direction, rather than continually starting over or drifting off course throughout the year. Focusing internally on the organization or features and benefits of products and services, instead of focusing externally on the needs, problems, or opportunities of their target audience. Forgetting to measure data and turn it into valuable insights about what’s working, what’s not, and why. Effective content marketing requires a documented strategy that shows which topics, audiences, and goals you’ll address throughout the year to accomplish your organization’s goals. Start by adopting the mindset that content marketing is a long-term investment in attracting qualified leads, strengthening relationships with customers, generating more sales and differentiating your company from the competition. From there, you can have a conversation internally about what success looks like as well as what matters most to your target audience. Heading in that direction, you’re well on your way to more effective marketing. Eventually, you’ll notice that following this strategy makes a big difference in your business. And your customers will notice too.